Ok, I Want It ! Games are our Business. And our Passion. Present Products, Services or Brand using an innovative, effective and lovable way. Products for the Entertainment market, focused on the business side as well. For Training or Education, games are fantastic to engage your public and teach. We are very proud to know that, over the years, our 100+ projects engaged Millions of satisfacted Players and, by consequence, we've got happy Clients and Partners. That's what really matter! 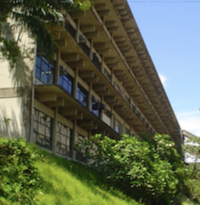 Aiyra started as a group inside the University Junior Enterprise in 2006. All went well and, quickly after that, we evolved into a formal company, joining an Incubator until 2009. Focus: to expand our business with stability. So we used our experience to provide game development services, creating reputation, partnerships and aquiring more knowledge. 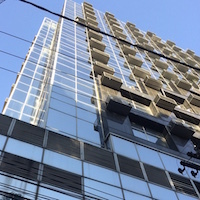 Working with our earned reputation and expertise, we launched several success cases along with our partners and clients. And now we started to look into original IPs as well. Want to hire us? Need more info? Feel free to make contact! Ok, I want my game! 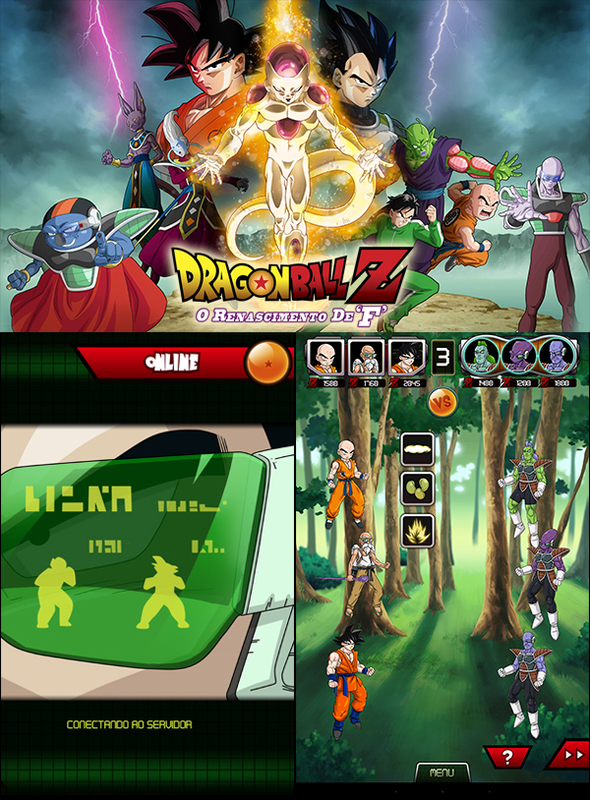 Instead of only one, we had the amazing opportunity to develop two Dragon Ball Z advergames. 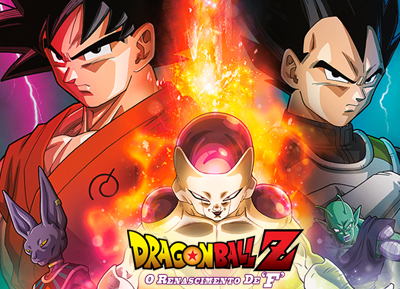 One for the 2013 movie, Dragon Ball Z Battle of Gods, in partnership with Diamond Films. The second one for the following movie in 2015, Revival of F, but that time together with 20th Century Fox. The first one was a Desktop Fighting Game, while the second was a Mobile Turn Based RPG. Both were pretty sucessful. The 2013 Battle of Gods advergame was made avalilable to public of aproximately 300,000 Players. But the numbers of the 2015 Revival of F advergame were even more outstanding: in a matter of just 1 month, there were 1,3+ Million Downloads , taking it to the 1st place on its category. Both games were also praised by the public and critics, receiving positive reviews from local media and hitting 4.2 scores on Google Play. Working on a Saint Seiya game was a childhood dream to literally all of our team members. 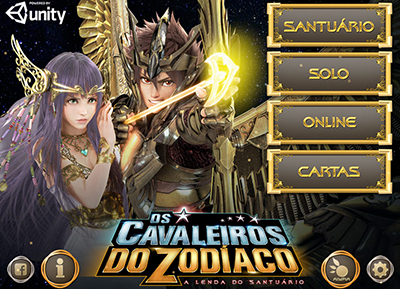 Aiyra & Diamond Films made the arrangement for the Saint Seiya: Legend of Sanctuary movie advergame and the result was one of the games that, even today, we love the most: Cosmo Cards. It was available iOS and Android. With an innovative card mechanic that relied on little previous knowledge about cardgames or even the Saint Seiya universe, the game was a hit. As the first of our games to feature an online multiplayer, we saw some success coming - but it exceeded all of our expectations. The game was acclaimed by critics and the public: several positive articles were written about it by specialized media, and we scored 4.4 stars on Google Play. As a result, we got almost 500.000 Downloads across all platforms, helping Diamond to market the movie even better. Developing a long-lasting game requires great effort, and that was one of the main characteristics that drew our attention about Ederon when we aquired it in 2015. 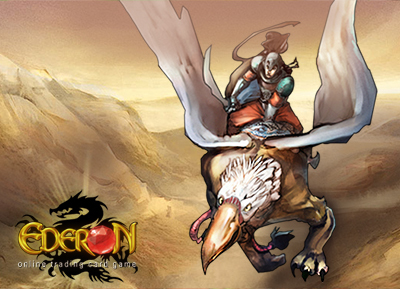 Being sucessfully online since 2006 with its firsts early versions and having evolved a lot during that time to the full-fledged online game that it is today, Ederon is a remarkable accomplishment. It also marked the start of our plans to enter the area of exploring our own, original IPs (and also experience with self-publishing). With 1514 cards divided into 7 expansions, the game offers a fantastic experience to players. 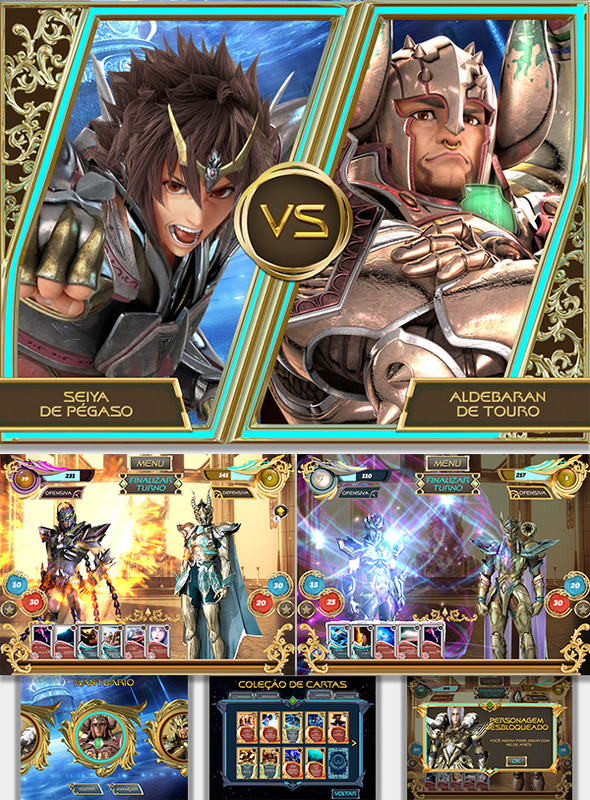 It features a Single Player Campaign mode with an average of 5 hours of gameplay and a great Storyline, Pratice Battles, Online Battles with customizable matchmaking, dozens of Achievements and Titles, Player-managed Clans and Monuments, Recurring Tournaments, and more importantly, a fully-equipped Trading Card System environment (with Direct Trade and Auction House). Ederon is definitely one of our main projects today - and we are aiming high when it comes to what we are planning for it in the short, medium and even long-term improvements. Don't let the Samba end! It is always a challenge to develop games based on cultural topics. You have to follow the content lead, presenting it with the right message, but it is also mandatory to deliver a engaging experience to players even if they do not know much about your content. For that reason, we see SambaSim as one of our creations that we are very proud about. The resulting product even drew attention of Coca-Cola Brasil, that became a sponsor since day one. It started when Panorama, our Client that quickly became Partner on the project, came to us with the original concept for the game. 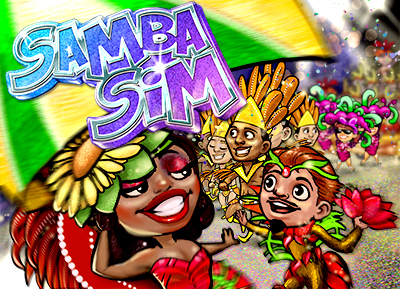 After a long period of hard work, we developed together a game that embodied all features of the great cultural manifestation that is the Brazilian Carnaval, focusing first on the Rio de Janeiro festival. 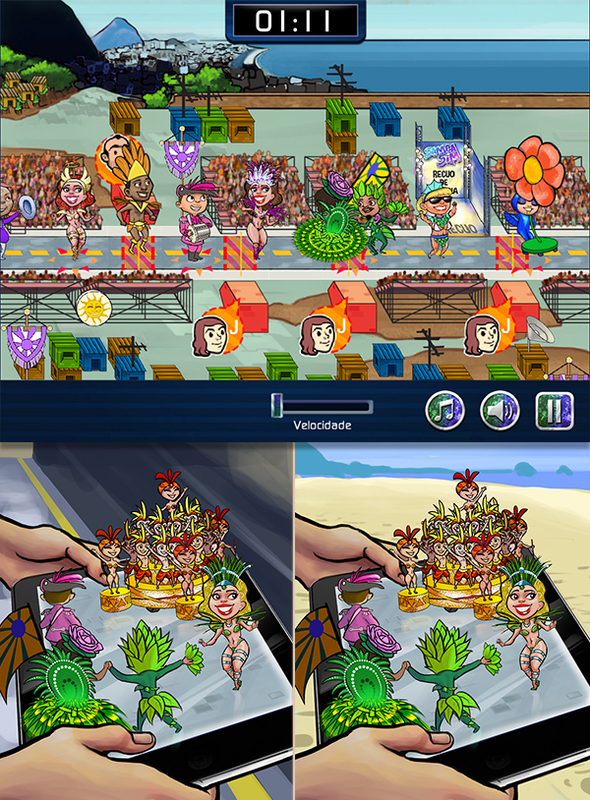 Most of its famous content is there, where you can find the Parades, Costumes, Floats and even Sambas composed exclusively for the game by the same names of the real Carnaval. But also, never letting the player perspective aside, the game was made so you need little to none previous knowledge to play it - in fact, you will even learn about Carnaval! With a fun, casual mechanic that mixes pre-game card strategy and on-game simple touch action, players can have their own pocket-sized SambaSchool and compete with others on all Worlds that the game offer. Game is currently available for iOS and Android. As we say here in Brazil, "Do not let the Samba end!" - SambaSim is meant to be played whenever you want to. Teaching personal finances is hard - specially when people are so different one from another. But it is a very important topic, one that, done right, could help to shape up a better society, less vulnerable to problems. 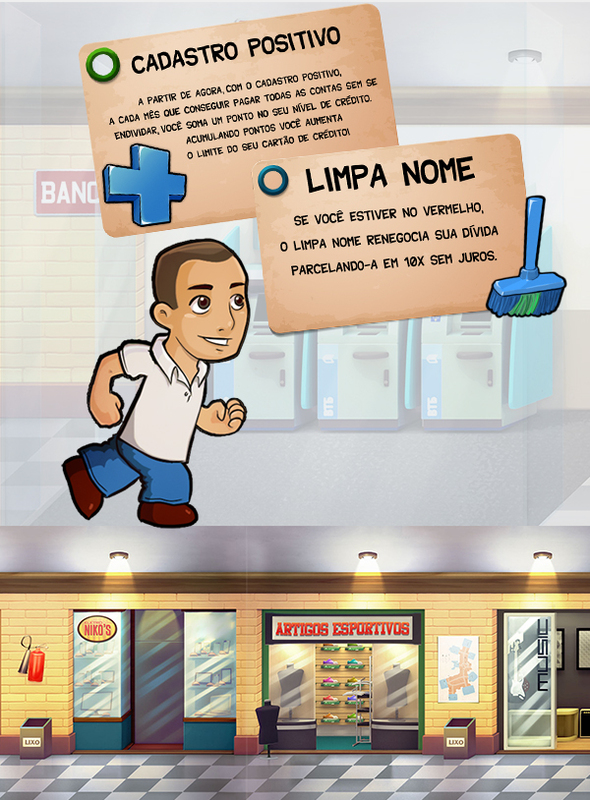 It was knowing that importance that SerasaExperian, one of the most respected financial instituitions in Brazil, reached Aiyra with a challange: to develop a edutainment game that would inform about several personal finances concepts such as savings, credit card, installments etc, so they can use the game on specific marketing campaigns. But how to make it engaging to players? The answer to that was Respeita o Bolso ("Respect Your Wallet" on a free translation), one of our most beloved edutainment games so far. 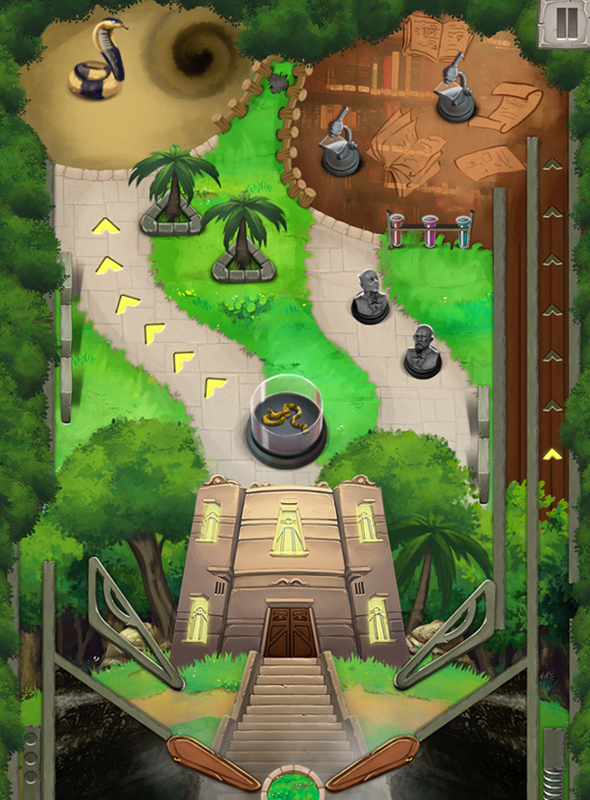 Using a very easy-to-learn, infinite runner-like mechanic, players must guide their avatar through a series of mini-challenges and endure until it reaches the final destination. The point is: it is not necessary to know anything about personal finances to play it - you might even play it without focusing on that. But everyone that did play it came up with the intended concepts well learned - even our developers became experts on the subject - and they loved it. 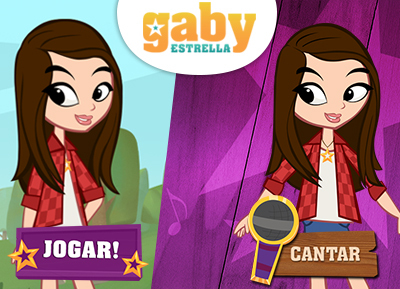 In 2013, the Gloob / Aiyra partnership took its firsts (and yet, big) steps into the mobile world with two mobile games for the Gaby Estrella kids soap opera. 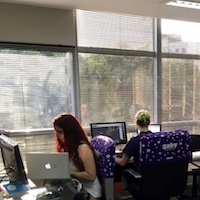 Gaby was a major transmedia production for Gloob at the time, and they wanted it to be well represented on the mobile world with games as well. 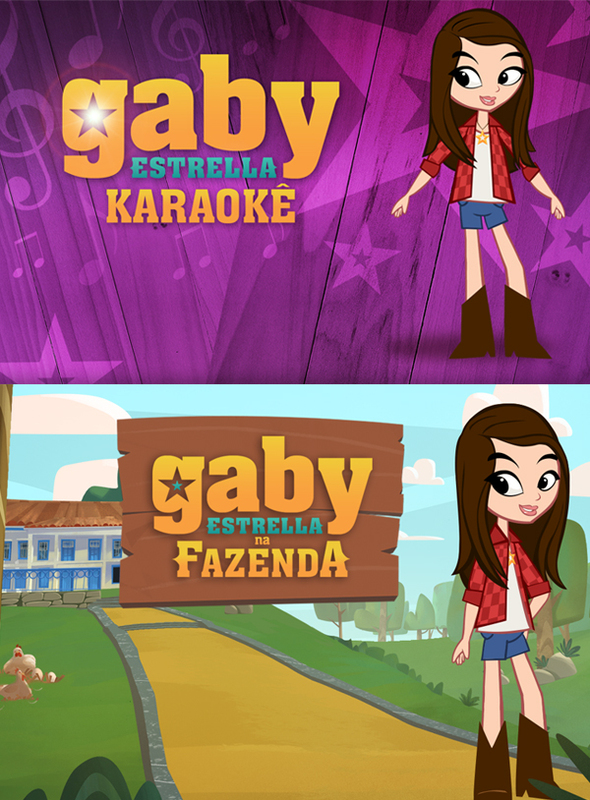 The answer was the combination of two mobile games: Gaby Estrella na Fazenda ("Gaby Estrella at the Farm") and Gaby Estrella Karaoke. The strategy was to engage different niches of the public at the same time. Gaby Estrella na Fazenda ("Gaby Estrella at the Farm") is a classic point and click adventure based on the show's storyline. Using a mechanic made famous by several industry hits, the player must guide Gaby through her journey of adapting on a new, unexpected lifestyle and discovering her natural, artistic and family gift: to sing. At the other side, Gaby Estrella Karaoke takes a more direct approach on the show's main topic: it delivers all soundtrack on a sing-along mode so the kids could loose their voice - together with the original voices or on instrumental versions of each. Combined with an exclusively-build song score evaluation system, the game has a place in the hearts of many children. Even years after their launch, both games are still doing well on Android and iOS, receiving positive reviews from critics, with good star scores and having almost 1 Million Downloads together. 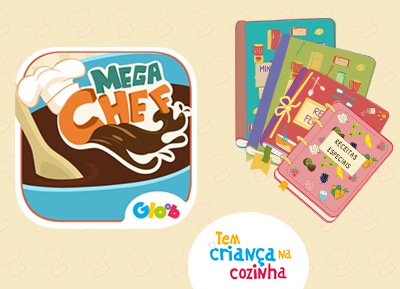 Following the success of the Gaby Estrella mobile games, the Gloob / Aiyra partnership evolved and aimed to channel's kitchen show, Tem Criança na Cozinha ("There are Kids in the Kitchen" on a free translation). With that in mind, MegaChef was born - aiming to bring the show's audience to mobile as well. 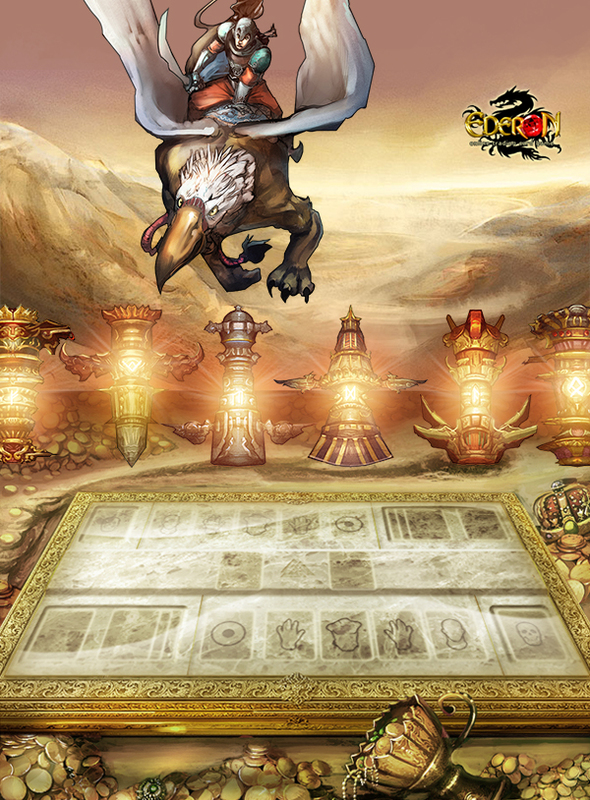 The game features puzzle match mechanics, on a genre made made popular by several industry hits (specially on mobile), but with some new, fresh takes on it. Each game "book" gives the player the opportunity to play on many levels with a specific mechanic in mind, taking advantage of each level peculiarities. 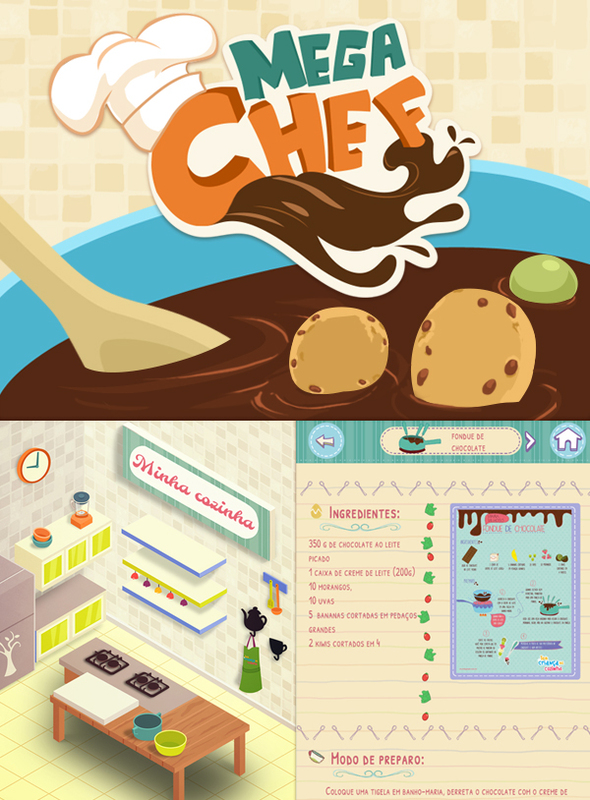 In order to bind the game with the show, each stage is related to a real-world cooking recipe, so all the elements on the level are recipe-related as well. As players evolve, they compete on online rankings and receive trophies to decorate their virtual kitchen. But one of the main innovations from MegaChef was to embed a full recipe book within the game: each time a stage is cleared, the related recipe is unlocked and the player can see it at anytime. That makes the app engament turn into a digital recipe book - which allow parents and they children to cook the meals together and bond as they should. MegaChef received very positive reviews from specializied critics and it is still performing very well on Android and iOS, with more then Half a Million Downloads already. 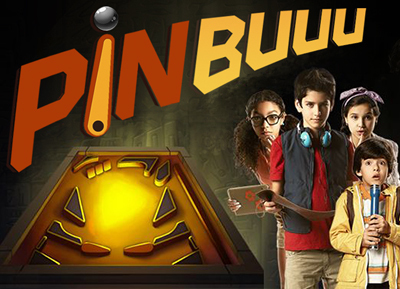 In 2015, following the huge transmedia release of the Buuu mystery-series, the Gloob / Aiyra partnership gave birth to Pinbuuu, the official advergame for the TV Show. Originally aimed only for mobile versions, it was also used as a webgame on promotional events - and it was a sucess on all cases. On a out-of-the-box approach, it was chosen a pinball mechanics for this case. We all remember those pinball machines based on classic epic adventures. Themes like space, terror, exploration, mystery, and journeys were very common, so the epic atmosphere from Buuu seemed perfect to fit on a Pinball virtual machine and its themed tables. The result was a multi-level Pinball game with all that is needed for the perfect experience, like multiballs, scoreboards, savers and secret areas - all of it related to the series evolution and content, presented on exclusively drawn artistic backgrounds. The game had also a very interesting integration with the TV Channel: the tables started as locked stages, and for unlocking it the player had to watch the Gloob shows on Cable TV and search fot the hidden code to unlock each stage. Released for the public for iOS and Android, even today Pinbuuu still performs very well on the mobile app stores, having almost Half a Million Downloads. The Gloob / Aiyra partnership started back in 2011, during the channel inception stage. 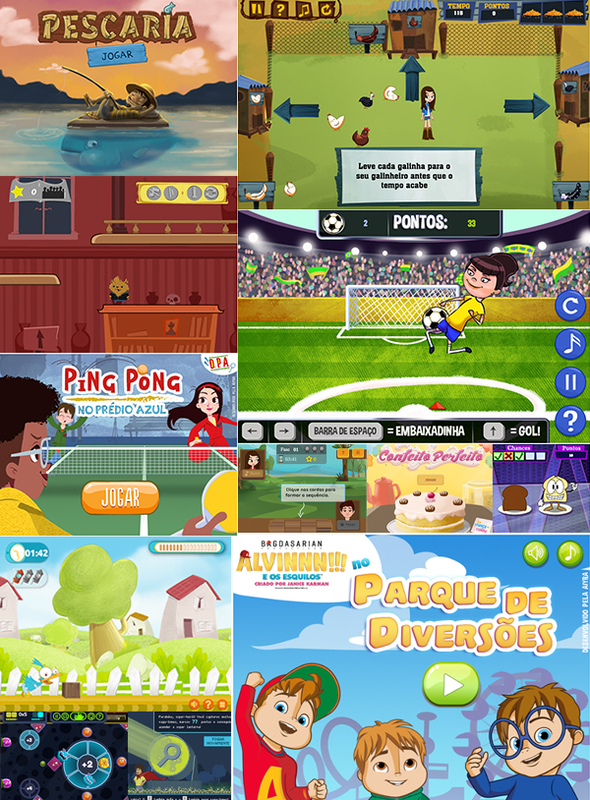 And before all mobile apps that we've made togheter, a big number of Web Games were made on a yearly package basis. 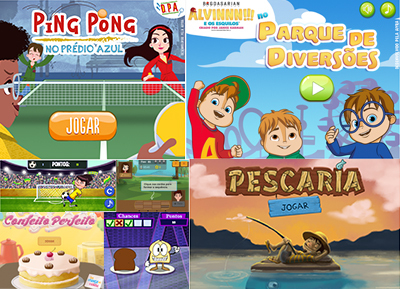 These Web Games are made to compose the game portfolio offer on the Gloob website, which is a portal were many of their target go to consume content - specially as Games. During that time, more than 50 different Web Games were made - of all kinds, genres, niches, mechanics and art-styles. Several of them currently figure among the most sucessful and well-received games on the Gloob portal. All developed on HTML5/WebGL, they run smoothly inside Gloob's website and has been not even a great attraction to the visitor, but to advertisers as well - which are pleased to sucessfully reach their audience by this additional media form.